The food services industry can be daunting and intimidating. Our experience can guide you. Recipi is more than just a startup incubator. or a consulting firm overcharging for impersonal “advice.” We are real people who have been fortunate enough to find success in the food industry. No one enters the food industry without having a dream to do so – Recipi is our way of helping you achieve or maintain your dream. Food Services Consultation and Curation. Recipi is a commitment to sharing our business strategies and tactics with you. We have personally launched, and helped others to launch, restaurants and food services that target – and reach – consumers. And we can help you define your story to create and present memorable dining experiences. You have a passion for crafting great food and providing impeccable service. Our exceptional strategies will help you achieve your goals with efficiency and effectiveness. We will help you to not just reach your dream, but profit from doing it. A restaurant launch is like a recipe: many ingredients have to come together with just the right techniques to transform them into something. Let Recipi help strategize an unforgettable platform for starting your restaurant or food service business. Pair your unique voice with our experience and expertise. Your passion fuels our excitement! We won’t sugar coat it: maintaining a successful business in the food industry is as difficult as it is demanding. You’re all at once an accountant, manager, chef, critic, and HR department. Recipi has been there! 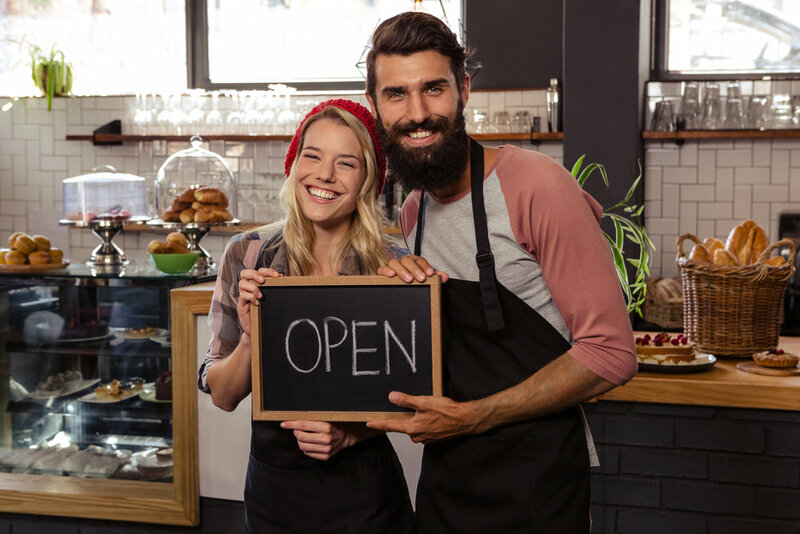 You don’t have to do it alone - Recipi can teach you how to navigate all the aspects of owning a successful food business. Whether you are growing and want to focus on your food and employees or you just can’t keep up with so many demands, Recipi can help. We can advise you and help you implement systems – or we can take some of it off of your plate altogether. We will identify your needs and provide real, tangible solutions. Have a great idea for a sauce or snack? Does your restaurant have a recipe that your customers are going wild for? Or are you the lucky heir to Great Grandma’s go-to recipe handed down to you on an index card? Seeing your product on store shelves is rewarding but challenging. From government compliancy to labeling, package design, and marketing strategies, we can help you get your product to reach consumers. You have the idea -- we know recipe development (hey – it’s our name! ), copacking, and brand building. Have a great idea for a brand, a logo, or a line of products? We have delicious and proven recipes available for private labeling – or our team of experienced chefs can custom-create the product you’ve been dreaming of. "When you acknowledge, as you must, that there is no such thing as perfect food, only the idea of it, then the real purpose of striving toward perfection becomes clear: to make people happy, that is what cooking is all about." Recipi is committed to experienced, expert advice for the Food Services industry. Thank you for contacting Recipi!